This piece was a liefajkcet that saved me from drowning. I love to watch Adamms Family especially the cartoons. But when it comes to the movie, oh I’m not sure. 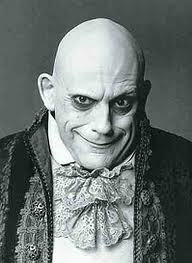 Uncle Fester really scares me [I’ve blocked the view of his photo while commenting on this post].